*Artist: FELICIANO,CHEO *Genre: Salsa *Release Date: 5-AUG-2014. There's no greater feeling than getting the perfect item with the most features at the lowest price. 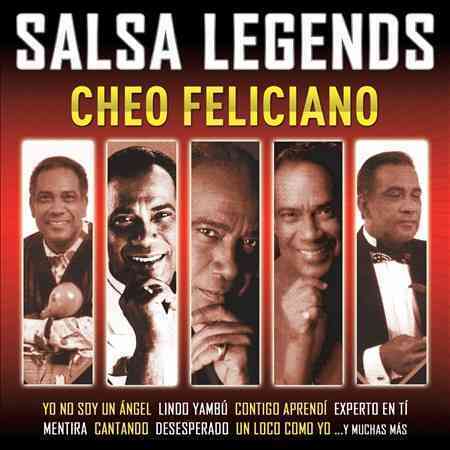 Order SALSA LEGENDS BY FELICIANO,CHEO (CD) with confidence thanks to our hassle-free return policy. Right now, our everyday price of $10.75 is 5% off the list price - a savings of $0.54! Can't decide? UnbeatableSale.com gift certificates are always just right! We hope you will enjoy your shopping experience with UnbeatableSale.com. If you have any questions or comments, please see our contact page for information on how to reach us.